Please leave your pups at home for this special event. Non members welcome. All guests must be 21+. RSVP required. Call 702-518-6439 to reserve your spot. 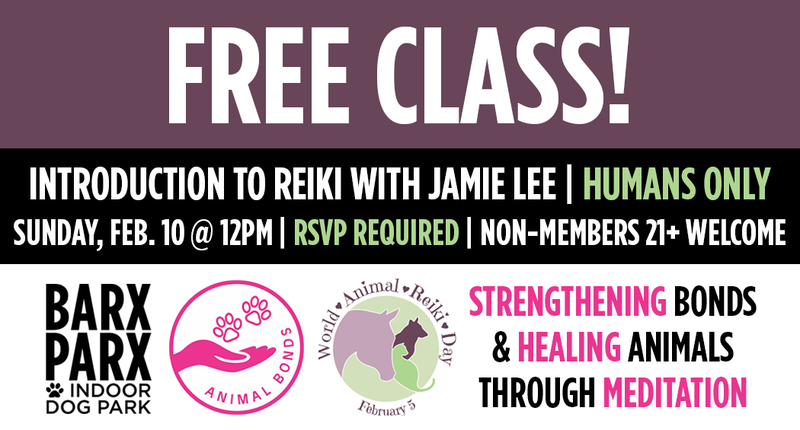 In honor of World Animal Reiki Day, please join us for a FREE introduction to Reiki for pets class taught by Jamie Lee – Animal Bonds! Reiki for pets focuses on meditation with healing. The secret to healing is found in the quiet bond we share with our pets. The way to access that space is through meditation.